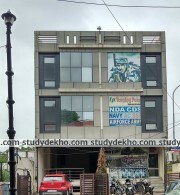 Air Force Common Admission Test (AFCAT) or the Indian Air Force Exam, as it is better known as a competitive exam held at the national level by over coveted Indian Air Force in order to select officers for all branches under its supervision except for its dental and medical branches. The Air Force Common Admission Test (AFCAT) is one of the most sought-after examinations in the country when comes to serving in one of the defense wings. The exam offers a job in 3 branches of the Air Force namely: Flying Branch, Technical Branch and Ground Duty Branch. Lakhs of students appear for this exam each year. It held twice a year in the months of February as well as August. Both, male and female candidates can sit for the exam. Given the fact that the exam does not demand the previous qualification in any specific field, a lot of students opt for this exam, some as their sole option while some willing to try their hand at it as an option. Only those candidates who are citizens of India can apply for this exam. A candidate who has secured min. 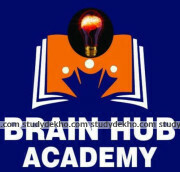 60 percent marks in Physics and Maths in 12th grade can apply for this exam. 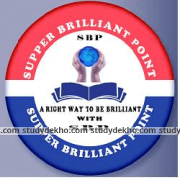 In addition, any student who has secured 60 percent marks in their B.E. or B.Tech degree can also apply. Apart from these, those who have secured 60 percent marks in A and B examination of Associate Membership of Institute Engineers (India) or Aeronautical Society of India can also apply. NCC candidates can also apply after fulfilling specific conditions as specified by government notifications. Age limits vary for reserved categories. For correct information pertaining to the age limit, please refer to the official website of Air Force Common Admission Test (AFCAT). Aeronautical Engineer (electronics): a person must possess min. 60 percent marks in Maths and Physics in 12th grade. A min. 4-year degree in Engineering/Technology should also be passed by the person. A person who has cleared A and B exams of Associate Membership of Institution of Engineers (India) or Aeronautical Society of India or Graduate membership examination of the Institute of Electronics and Telecommunication Engineers by securing min. 60 percent marks can also apply. Aeronautical Engineer (mechanics): in this case, only the disciplines accepted vary. Rest of the conditions are same as above. A person who has passes Section A & B exams of Associate Membership of Institution of Engineers (India) or Aeronautical Society of India with min. 60 percent marks can gain entry in the Administration and Logistics Department. Those students who wish to gain entry in the accounts department need a B.Com. degree with min. 60 percent marks. Those willing to get a job in the Education-line need a degree of MBA/MCA, etc. with min 50 percent marks. In addition to the same, the person should have scored a min. of 60 percent marks in graduation. Those willing to take a position in the meteorology department must possess a Post Graduate Degree subject to the conditions of various subjects as laid down by the concerned authority. The list of degrees that are accepted under Air Force Common Admission Test (AFCAT) is duly given on the official website. The Air Force Common Admission Test (AFCAT) exam has a total of 100 questions for the duration of 2 hours. 1 mark is deducted for every wrong answer. The paper is of 300 marks and is objective type. The Air Force Common Admission Test (AFCAT) also has a written exam, the correct details of which are available on its website. If the cutoff is cleared, an interview is taken which involves topics such as general awareness, logical reasoning, military aptitude test, etc. Department specific tests may also form a part of the entrance, subject to the choice of the candidate. 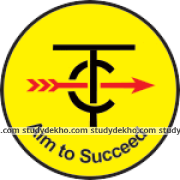 Although there is no rush of coaching institutes pertaining to Air Force Common Admission Test (AFCAT), there exist a few quality institutes that provide a good environment for studying. 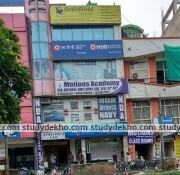 At Studydekho, we have prepared a list of the most visited institutes. Do check them out!